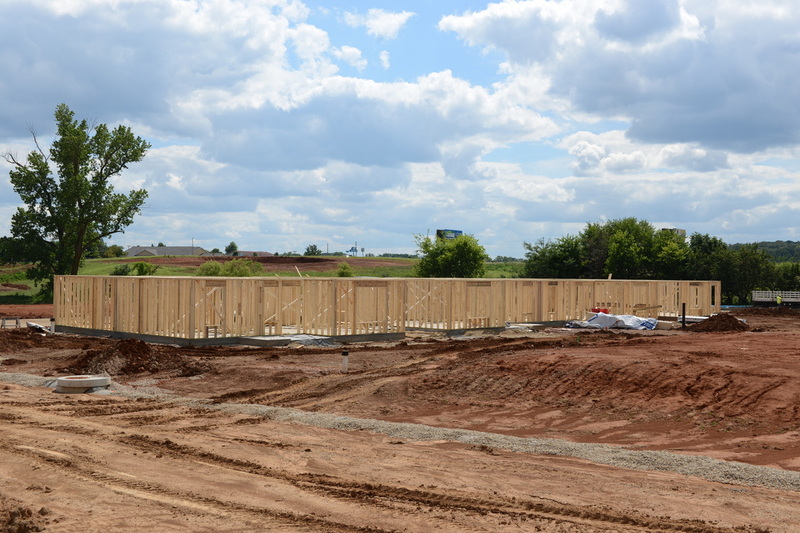 July 16 -- Liberty Landing Apartment Homes, a new housing complex going up on the west side of Parkland Hospital, is rapidly taking shape. 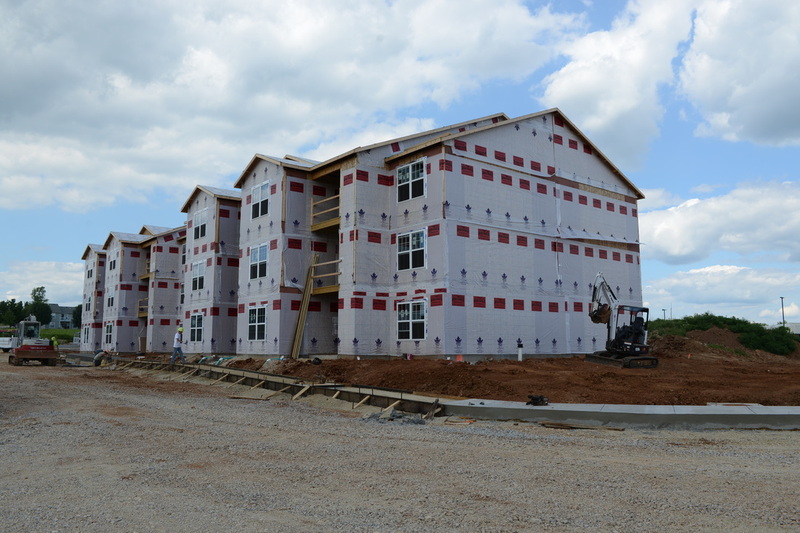 The first of five units has been framed out and is ready for finishing work on the outside and also in the 24 units contained in each building. Already the framework on the first floor of a second unit has been completed and work is about to begin on that building’s second floor. 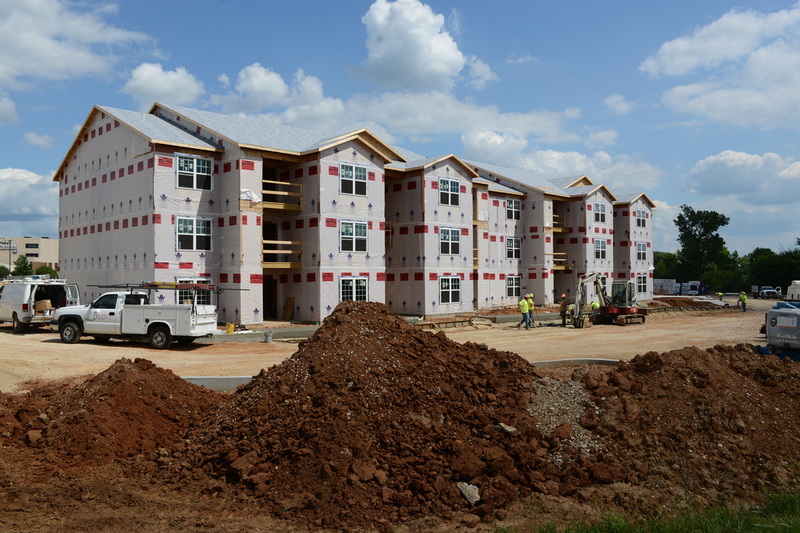 A total of five such housing units are being built, each three stories tall. The exterior of these buildings will be in stone and vinyl siding and stone. When finished, the housing complex will also contain a swimming pool, a tanning salon, a 24-hour fitness and laundry facility, and covered parking. 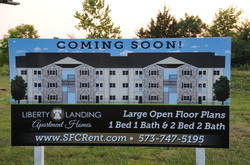 A business center will also be located at the site. 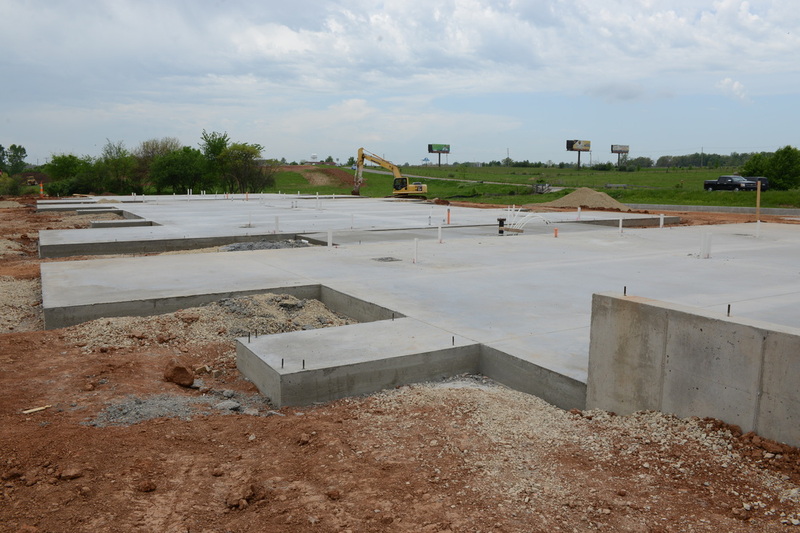 The general contractors of the project are Mark Bonney Construction of Desloge and Glen Miller of Canyon Concrete of Farmington. Building two on May 7. Building two on July 16. Building one on May 7.